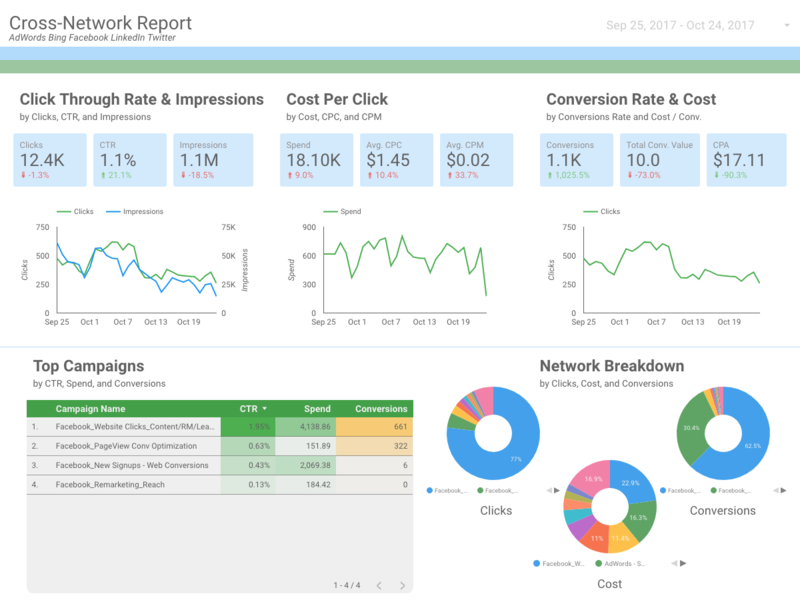 There are a few ways to filter and segment your data in Google Data Studio. If you already have Account Groups and Folders set up in AdStage, using Targets might be your best bet. Let's start with Account Groups. How do I use my Account Groups in Data Studio? Step 1: Grab your Account Group's entity ID number. Jump into the Accounts page and select the Account Group you wish to use. Look in the URL for the entity ID. Copy the ID. 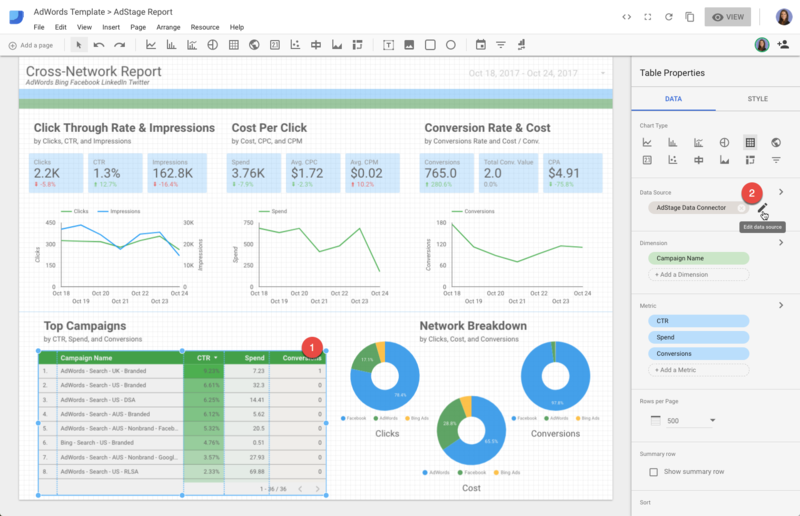 Step 2: Jump into Data Studio. Click into a chart and click the Edit pencil icon under Data Sources in the right-hand pane. Step 3: Click Edit Connection in the bottom pane. Here you'll land on the page to add your target(s). Scroll down to the Targets section. Enter in the string below with your entity ID at the end. Step 4: Once you've clicked Reconnect it will prompt you to Apply the changes. Once you accept, your report will update to the new Account Group. How do I use my Folders in Data Studio? Step 1: Grab your Folder's entity ID number. Jump into the folder you wish to use. Look in the URL for the entity ID. Copy the ID. Step 4: Once you've clicked Reconnect it will prompt you to apply the changes. Once you accept, your report will update to the new Folder. How do I use a combination of Targets in my report? Looking to use Account Groups, Folders, and all Accounts in the same report? Not a problem. 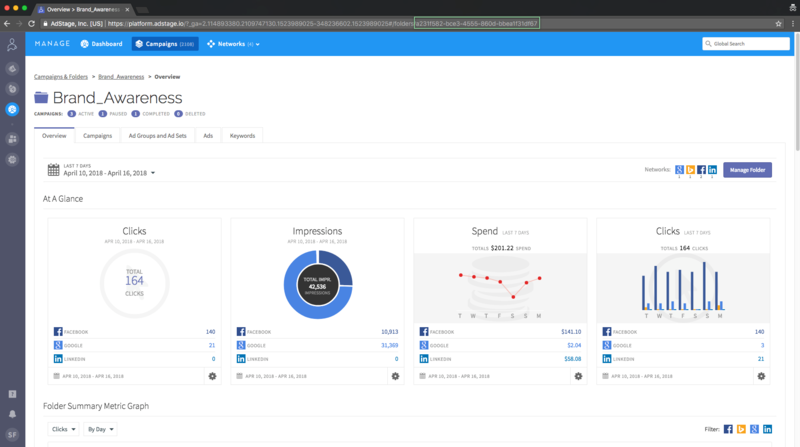 Simply add another instance of AdStage's Community Connector to your report. Step 1: Instead of editing your current AdStage Data Connector, click Create New Data Source. 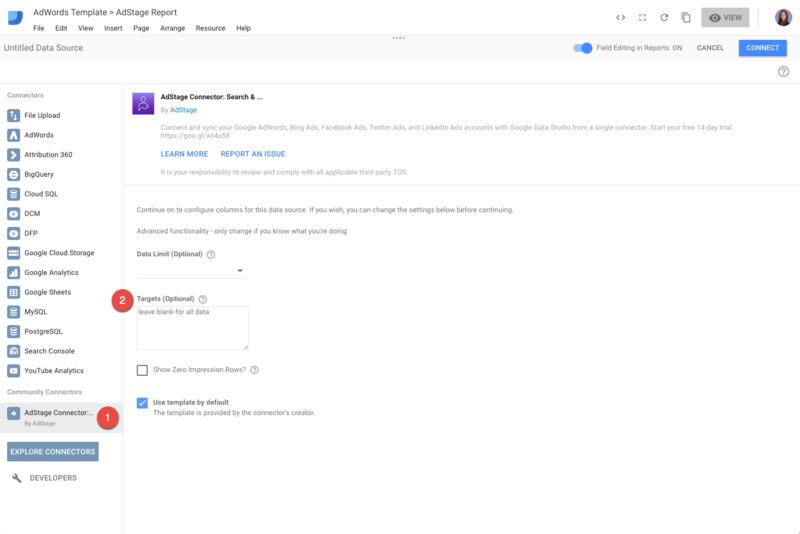 Step 2: Reselect AdStage Community Connector. Now you will be prompted to add targets to this new instance of the connector. Step 3: Click Connect to update the single widget to this new connector. Now use this connector for any widget you'd like using this targeting scheme. Take me to Data Studio! Have questions about Data Studio? Feel free to reach out to us at support@adstage.io.